SecurityStockWatch.com: Thank you for joining us today, Eric. Please give us an overview of your background and a brief company history. Eric Strauss: As one of the founders and the chief architect of LegiTime’s mobile solutions, I currently serve as CEO and Chairman of the Board. My professional background is all about business communications. I have spent the past 15 years launching some of the communication industry’s most exciting and disruptive technologies with companies like 3Com and Avaya and with emerging players like Yipes Communications which helped to create and grow the first Metro-Optical Ethernet Service Provider, and NetFabric, a VoIP gateway vendor. I hold an MBA from Columbia Business School and a BBA in Marketing from James Madison University. Last year, I was invited by Defense Advanced Research Projects Agency (DARPA) to present on Assurable Global Networks (AGN), which was an invitation only conference to explore the Department of Defense’s future options to secure next generation networks. LegiTime is focused on securing and managing the mobile workforce. Our solutions make the smartphone – today’s unified communication weapon of choice for professionals – easier to use, compliance-ready, and most importantly, totally secure. Our technology was developed by two physicists, with successful entrepreneurial track records, in 2005. I joined the company in 2006, after being recruited to help commercialize the technology. SecurityStockWatch.com: One will read on www.legitimetechnologies.com that,“LegiTime is the first mobile security and management software company to address mobile convergence and its unique user requirements.” Please tell us about LegiTime’s technology. Eric Strauss: LegiTime understands both the needs of professional users who want simple, intuitive applications that require minimal support and the needs of regulated companies who require a high degree of device and application control to ensure corporate policies are enforced. Enterprise organizations in regulated industries face a number of mobile communications challenges: securing data, integrating with corporate applications and facilitating effective communications among working groups that require different levels of security and process. At LegiTime, we’ve spent the last two years developing a solution that enables the enterprise to manage, control and secure employees’ mobile communications, while at the same time, providing employees with message and inbox management capabilities allow them to work with their personal preferences, while at the same time, following corporate policy. Our solutions archive and back-up data for compliance, integrate with existing messaging platforms such as Exchange, Notes and web servers, are carrier-agnostic, and support policy management via business rules to satisfy both enterprise and end-user requirements. SecurityStockWatch.com: What are LegiTime’s main target markets and what are the market drivers for LegiTime solutions at this time? Eric Strauss: LegiTime's Enterprise Server product was designed for the enterprise with an always-on workforce. These are companies in fast-growing fields – like finance – that are always looking to improve productivity while being mindful of security. LegiTime will initially focus on the financial services market to help secure SMS to comply with recently released regulations requiring text messaging to be treated the same as email. We are working with financial companies, consultants and compliance solution providers to offer mobile messaging solutions that meet this industry’s complex needs. SecurityStockWatch.com: What is your perspective on LegiTime’s competitive advantages and the value proposition which LegiTime solutions offers? 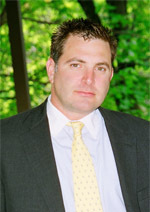 Eric Strauss: LegiTime's patent pending technology identifies, classifies and prioritizes mobile messages and ensures data integrity and group affiliation, allowing end-users to better manage their mobile inboxes, while corporate IT managers are able to better manage and control mobile messaging activities. Our core technology is our chief differentiator. It allows us to identify and authenticate users and their affiliation. This approach helps to overcome the challenges of working with “open networks” (like cellular networks) where the enterprise has no control over who has access. Our products help bring the same types of stringent controls on the internal network, to these public mobile communication networks. Our core technology allows us to interpret the communication, determine whether its legitimate (and identify the sender’s intention), authenticate it, validate it to make sure that the data contained has not been tampered with, and then determine, based on corporate policy, what to do with the message. According to analyst firms like Gartner, businesses are struggling with identity and access management. We offer a way to address these challenges for mobile communications. SecurityStockWatch.com: Are there 1 or 2 “wins” or success stories you’d like to talk about? Eric Strauss: We are currently working with a number of financial companies, which we can not identify by name at this time, who have turned to us for help in treating SMS messages like email in terms of compliance. Given the stringent regulatory environment, we’re working closely with them to ensure compliance. SecurityStockWatch.com: Are there any strategic partners or key relationships that you’d like to mention? Eric Strauss: In addition to being a Microsoft partner, we’re also working with several security and compliance vendors focused on the financial industry. SecurityStockWatch.com: Please tell us about your Board and management team. Eric Strauss: We’ve assembled a group of highly successful industry veterans who represent different aspects of our business – from deep knowledge of carrier networks, to vertical market expertise to a range of experiences with building successful technology businesses. Two Board Advisors have made significant contributions to LegiTime: Donald Rae, former CTO of Smart Communications, the chief architect of the world’s largest mobile messaging network in the Philippines and the former CEO of Vodafone’s Essar India; and Charlotte Denenberg, former CTO of SNET, purchased by SBC and MFN. Our mission is to combine technical excellence with business acumen to deliver true value to the market and with proven track records on both the management team and the Board, we are executing on that mission. SecurityStockWatch.com: Thanks again for joining us today, Eric, are there any other subjects you’d like to discuss? Eric Strauss: Right now, securing the mobile workforce is the single most important issue facing enterprise IT managers. Some studies suggest that as many as 60 percent of mobile professionals use SMS for business communications. Right now, this trend threatens corporations’ intellectual property, because many organizations do not have any control over the cellular network. Our solution brings control of these mobile messages back into the corporate network, helping organizations to provide workers with the latest technology tools, while keeping the enterprise safe.